Firebright is made of a soft red fuzzy fleece or fur (fabric may vary slightly) He has yarn hair and a painted face. 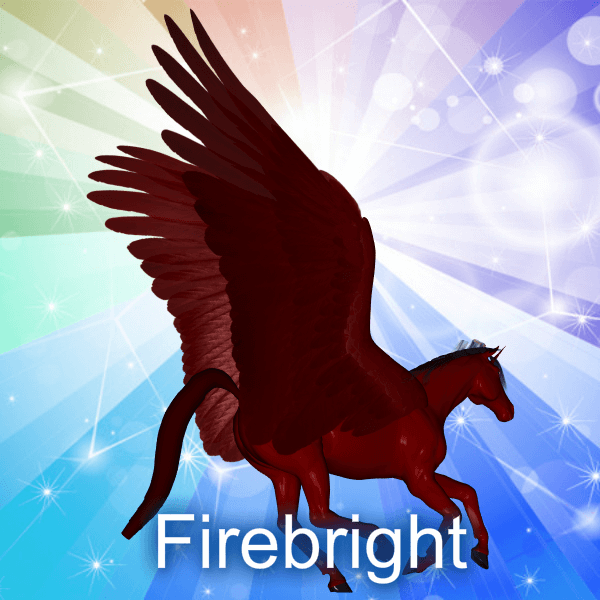 As his fur suggests, Firebright has quite the temper. His special abilities include flying, changing himself into a fiery silhouette and even turning into a full inferno that can burn into difficult-to-reach places. Though generally meant for ages 3 and up, you can request I take extra precautions for children under the age of 3. These cloth action figures are designed specifically to be washable, as well. General instructions for washing would be to place the figure in a pillow case, close with a rubber band and gently wash either by hand or by machine on the warm cycle.